A long-thought-lost copy of David Bowie’s first-ever demo recording has been discovered in—but of course—a bread box by an old bandmate. “I Never Dreamed” features a 16-year-old David Jones singing lead for his first band, the Konrads. 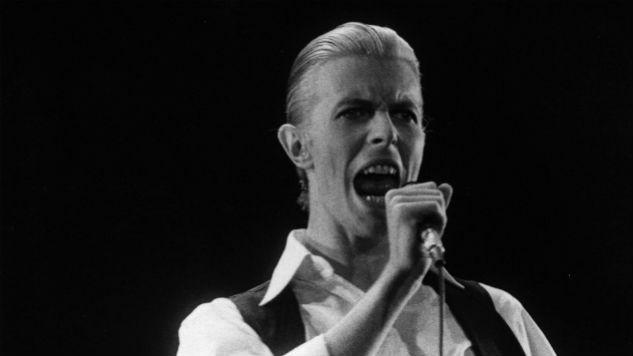 At that point, Bowie was primarily a saxophonist, but was tapped to sing lead for the demo. “There is no other recording of the demo featuring David as lead in existence,” said Konrads drummer David Hadfield, who discovered the demo in a bread basket that belonged to his grandfather. The demo was immediately rejected by recording label Decca, as well as by Rolling Stone manager Eric Easton. After the recordings were turned down, Bowie left the group later that year. He’d release his self-titled debut album four years later in 1967, the same week as Sgt. Pepper’s. Now, rejected or not, the 55-year-old recording is expected to fetch £10,000 ($13,000) when it goes to auction in September. If that’s a little out of your price range, check out the new Bowie box set Loving the Alien that was announced last week. Listen to the demo below, and be sure to hear a clip of Bowie singing “Changes” from the Paste Cloud, circa 1976.